It’s summer! As my mom would say, the days are now getting shorter. But who cares? In Northern California, the gloriously long growing season stretches out ahead with a million promises of kitchen projects old and new. Right now in Ukiah, the plums are on and they mean business. 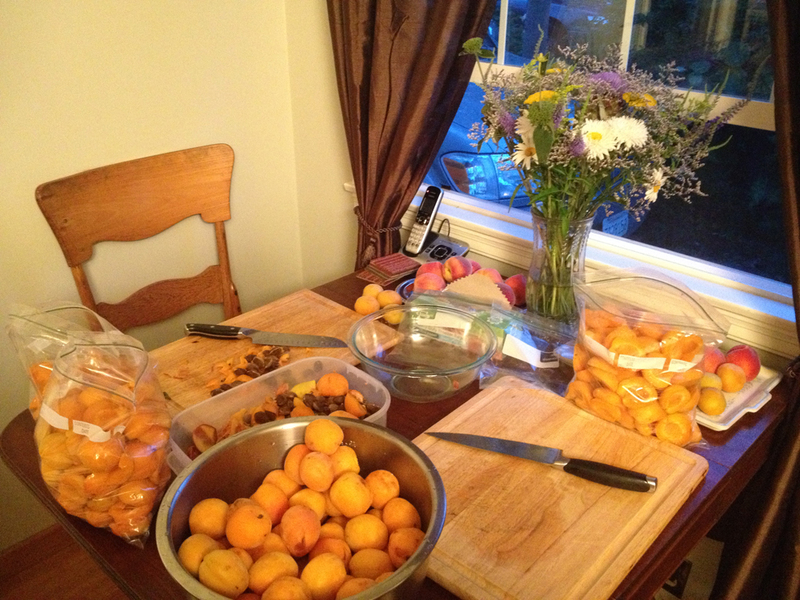 My friends Addison and Caitlin have three plum trees in their backyard, plus there’s a tree in my neighbor’s yard and dozens of others around town, so we decided to gather as many as we could and have a plum pitting and processing party on the first day of summer. We made pizza and canned both whole and pitted plums in honey syrup (thanks, Carson). 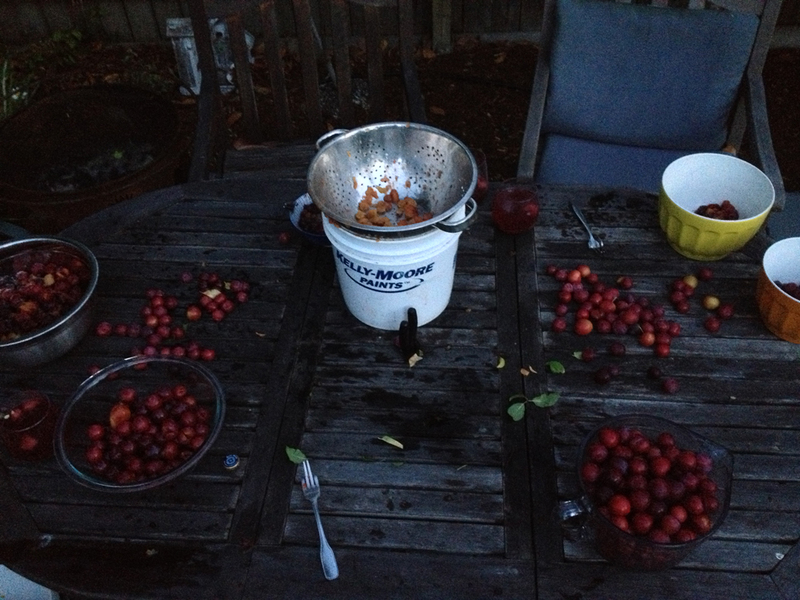 We also set some aside for dehydrating; in all, we processed a 5 gallon bucked of plums. Special props to Lauren for her pitting prowess! 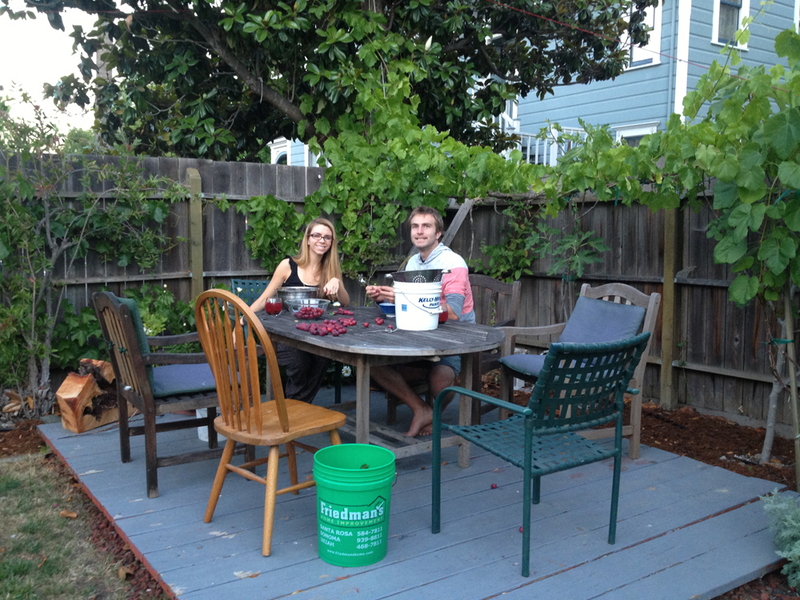 Two days later, Caitlin and I got together to process the nearly 200 pounds of pesticide-free, tree-ripened beauties we ordered from the Central Valley. 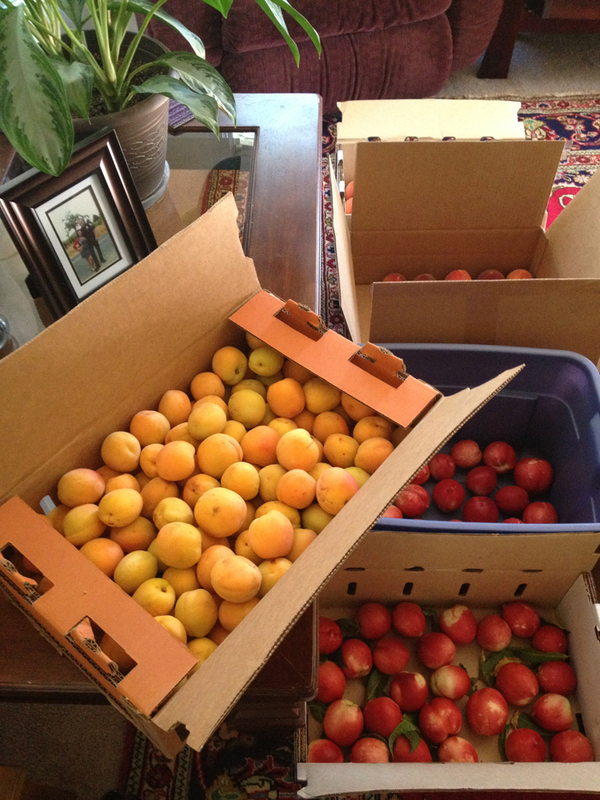 We got apricots, nectarines, and peaches, all for a crazy good deal at about 75 cents/lb. (I’d rather pay a buck and have the money go to the laborers, but that’s another story). This isn’t even the half of it. 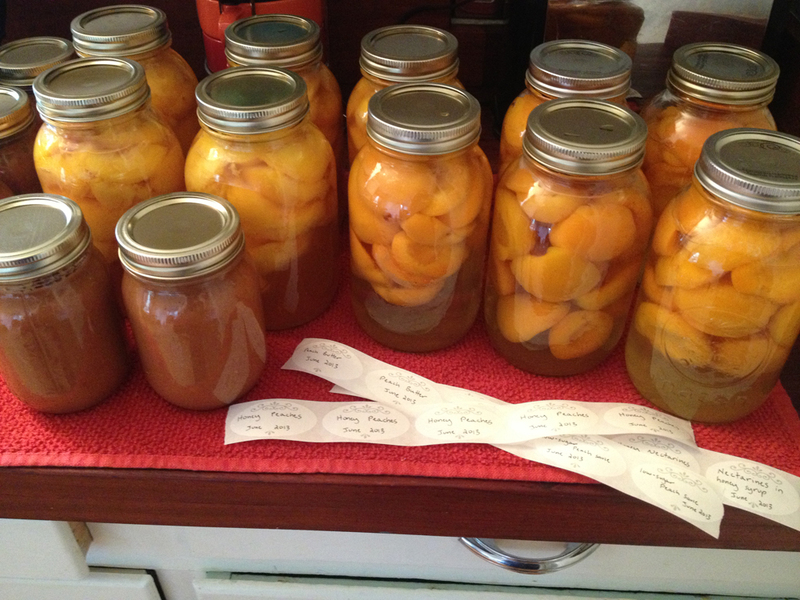 We cut a ton of the fruit to freeze, but we also made 10 pints of peach butter and about 20 quarts of peaches and apricots in honey syrup (thanks again, honey!) before calling it a night. 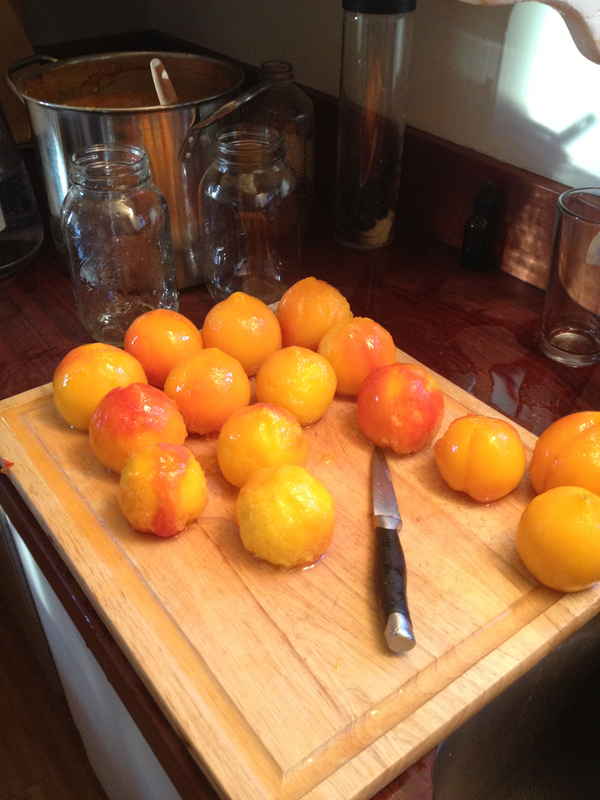 The nectarines and some of the apricots weren’t quite ripe so there’s apricot jam and nectarine… something in our future. 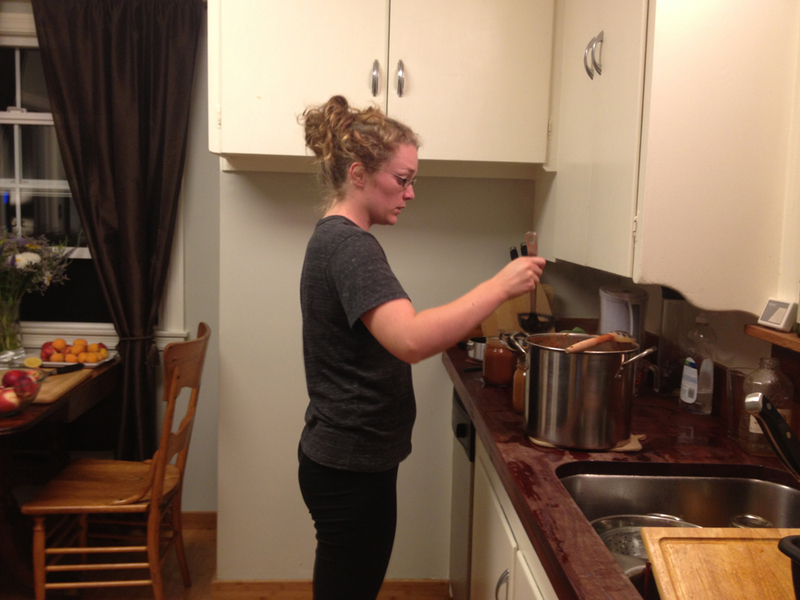 I happened to catch this face just as Caitlin ladled a little too much peach butter into a jar. My kitchen floor has never been so sticky. No matter how many times I mop I can’t seem to get the last of the fruit juice off of it. TOTALLY WORTH IT. If you ever have a ton of fruit that you don’t want to freeze, dry, or eat fresh, but you don’t want to put a lot of effort into canning it either, syrup is the way to go! It’s simple: mix one part honey to three parts filtered water and heat (not quite to a boil). Voila. You can put sliced fruit directly into this mixture and process in a water bath and you’re done. (Look up exact processing times based on fruit and jar size.) You can add spices like cinnamon or vanilla if you want, or a slug of bourbon or brandy, but it’s delicious as a plain syrup which will become infused with the fruit. If you don’t have honey, granulated sugar does the trick, too.